Shyam palace cinema Review is very Renowned cinema in kanpur. It gives you great facility for the visitors. The sound quality of this theater is very good. It has hall morden facility which is required. It is situated at the best area of the city.Many Bollywood movies release there. 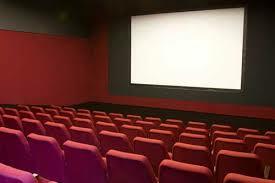 People can reach this cinema hall without any problem.It is situated main road of the city.Many people come here for entertainment and enjoy very much.Shows timing are also very flexible so anyone can choose best time and enjoy.